Commissioned then designed to utilise existing adapter looms. There are a host of aftermarket adapter looms for Japanese cars that plug straight in, without modification. 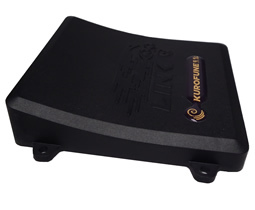 The Kurofune is a brilliant replacement for inferior aftermarket ECUs that share that same pinout. Boost control can be added using the supplied terminated wire deleting the need for an external boost controller giving all of the advantages of ECU controlled boost e.g. boost per gear; conditional on inlet air temperature and engine temperature etc.